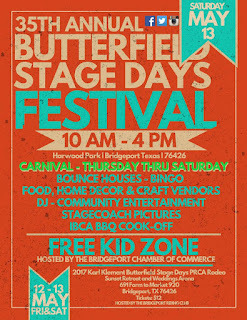 "The Bridgeport Chamber of Commerce presents the 35th annual Butterfield Stage Days Festival in Harwood Park, Bridgeport Tx. 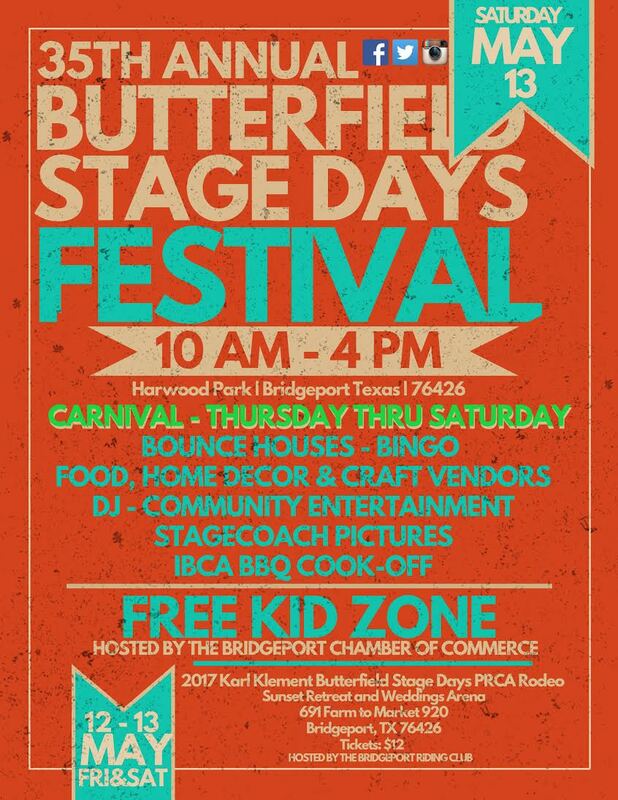 Carnival Thursday-Saturday, Free Kid Zone, 100+Food, Home Decor, Craft and many types of vendors. 2500+ people at the festival.Community Entertainment and much more."